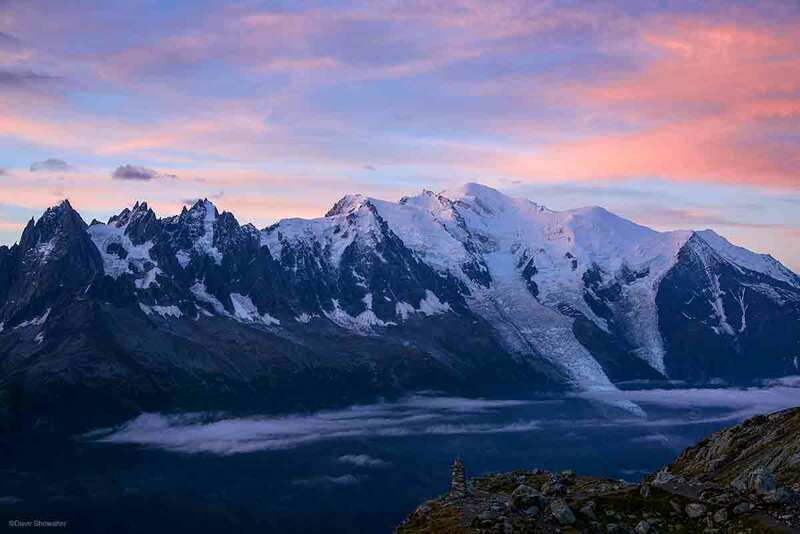 The Mont Blanc (4810m, 15,781 ft.) massif above the Chamonix Valley at sunrise. Lac Blanc is the vantage point and the refuge enabled us to be high in the Alps at sunrise. Photo © copyright by Dave Showalter.